Home » time management » The Most Famous Managers: How Do They Do It? Effective leadership is in essence, motivating your team to consistently cultivate relationships while having a constant desire to improve. 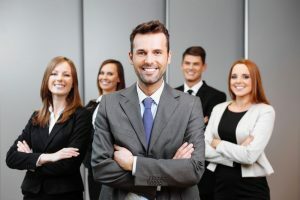 There are a few golden rules for managers to make the most of their employees, and these have been shown by some of the greatest leaders of all time. The methods used for managing a team to perform multiple tasks long term can be more challenging. Cultivating these relationships in the workplace can be met with a wide range of barriers that appear over time. Different leaders have chosen a variety of ways to manage their teams, and these are some of the most popular. Business leaders such as Larry Page from Google, and Jeff Boze from Amazon, have developed completely unique management styles compared to what has been present over the last 100 years. Their offices make use of open spaces where workers can mingle, but they are also accountable for producing a certain amount of work. The level of work by those in open environments were of a higher standard of those in secluded situations. These leaders also put the health of their team as one of the tasks on their agenda. Ensuring employees get enough sleep and are well fed throughout the day are vital to the productivity of their team. Google has a free cafeteria for all their employees, ensuring that no member of their team misses any nourishment and can perform at their highest potential. Warren Buffet is a great example of a leader who uses accountability, patience and persistence within his management model. As a leader, he isn’t stuck on big gains or losses, but on the everyday turnover and how to maintain the pathway to their optimal potential. This method of management has paid off big time. Learning from great leaders is a great way to ensure the highest level success within your own team.